Master Donnan receiving his birthday smacks. 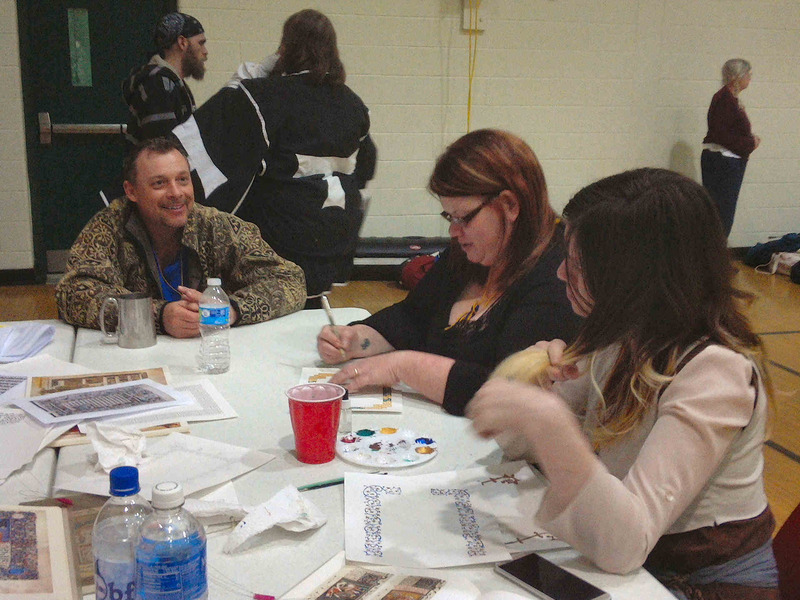 Mistress Arianna of Wynthrope reports on the Donnan Party event. The Donnan Party began around 20 years ago as a way to celebrate the birthday of Master Donnan the Solitary by providing an opportunity for other fencers to give him his traditional fencer’s “birthday smacks.” This year that meant 52 bouts that Master Donnan had to win, which he did while facing a long line of people eager to sing happy birthday to him, hug him, or stab him (or sometimes all three in succession). 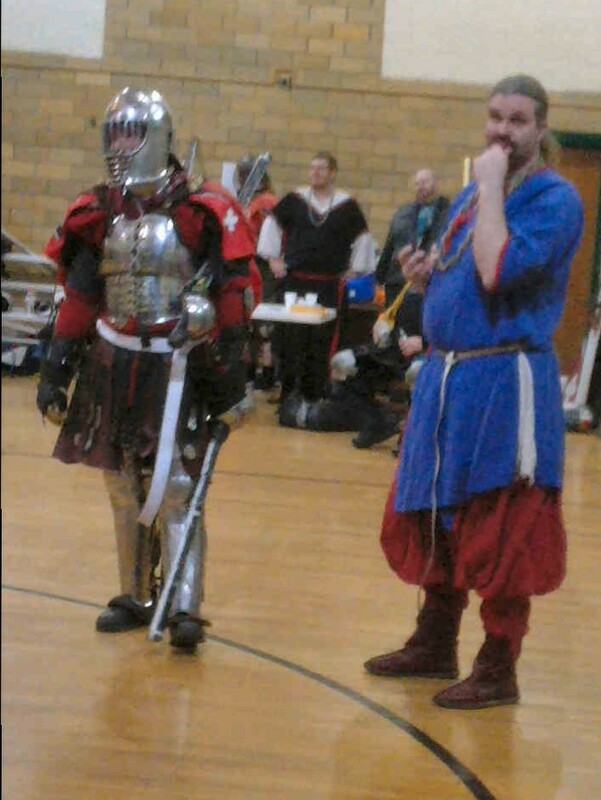 The event, hosted by the Shire of Ballachlagan, featured numerous fencing activities, including classes on such topics as footwork by Sir Kadan Chákhilgan Ger on Echen, sword and buckler by Mistress Fredeburg von Katzenellenbogen, becoming a rapier marshal by Doña Gabrielle de Winter, the body mechanics of cut and thrust by Don Anias Fenne, using a cloak as a parry device by Countess Elena d’Artois, and “Jedi Mind Tricks” by Duke Malcolm MacEoghainn. 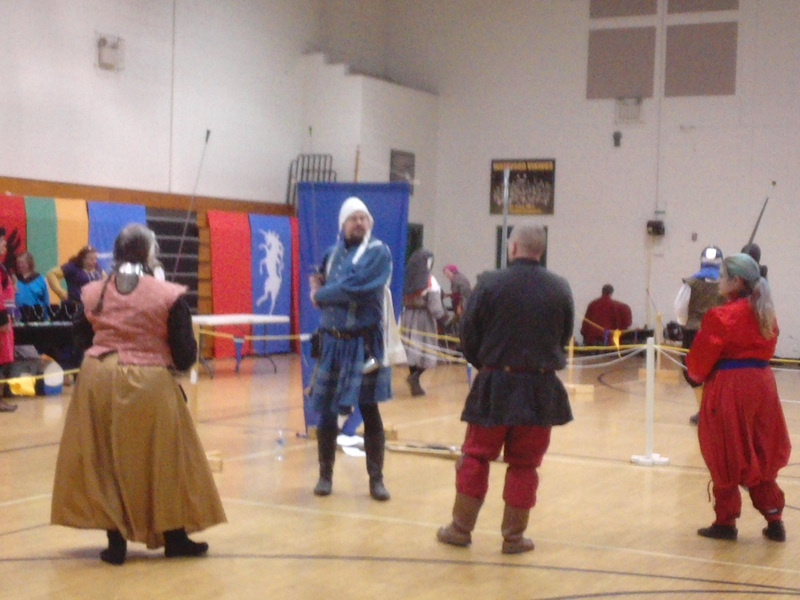 Master Donnan also taught a class on the user of the German longsword. At the end of the afternoon, the White Scarves held a workshop for combatants to receive advice and practice against these premier fencers. 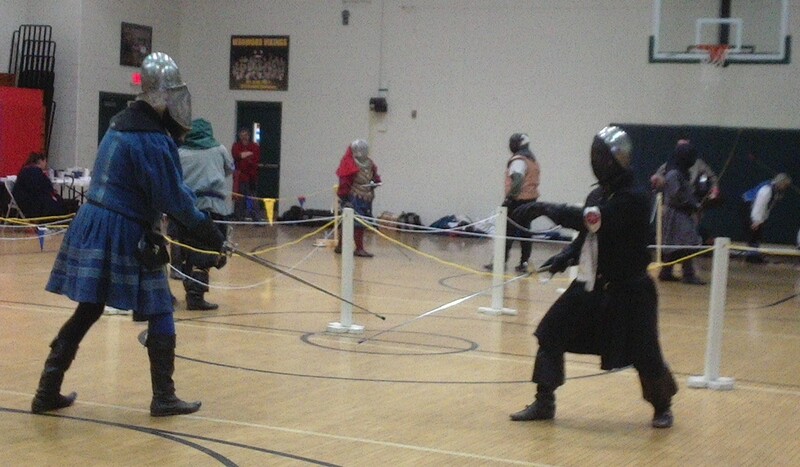 In addition, there was a cut and thrust tournament and pickup singles fencing throughout the day. 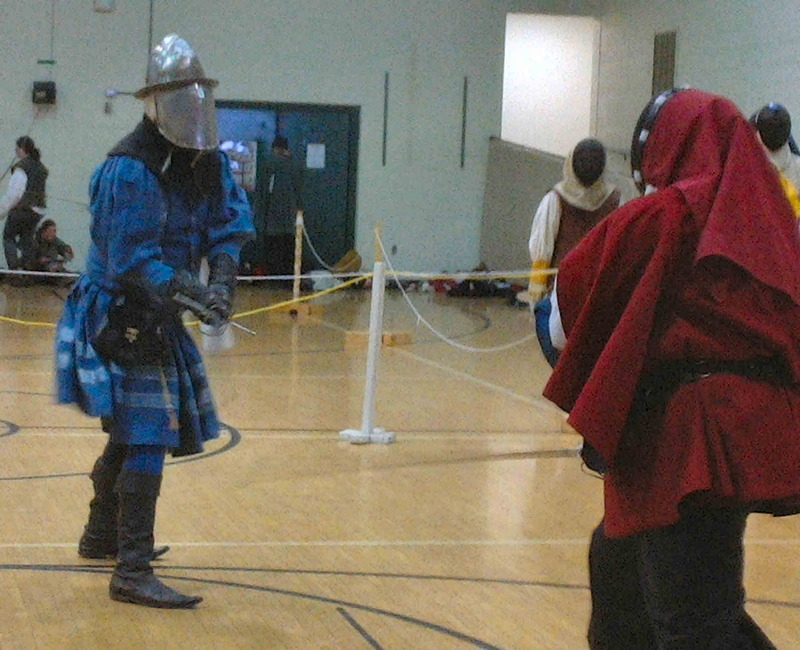 Approximately 38 fencers were in attendance. 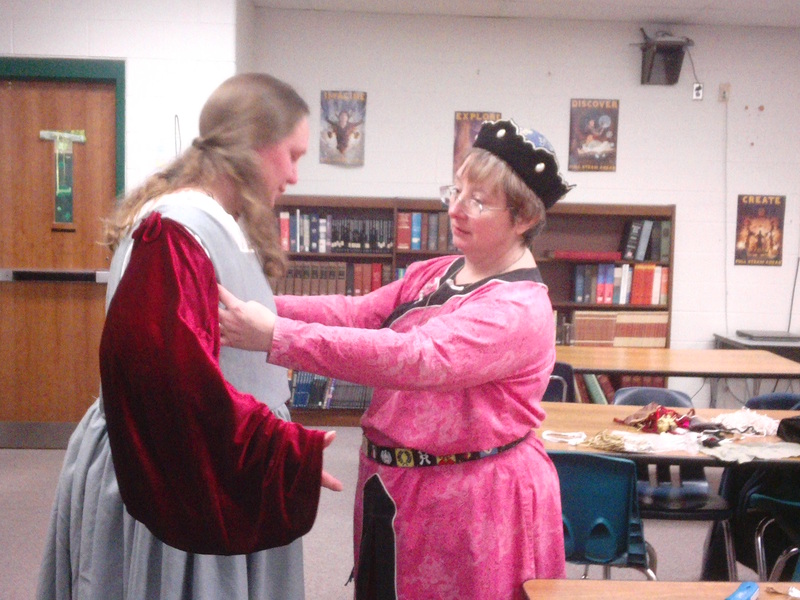 Lady Aemelia Soteria and Grace of Steltonwald served is MOLs for the rapier list. 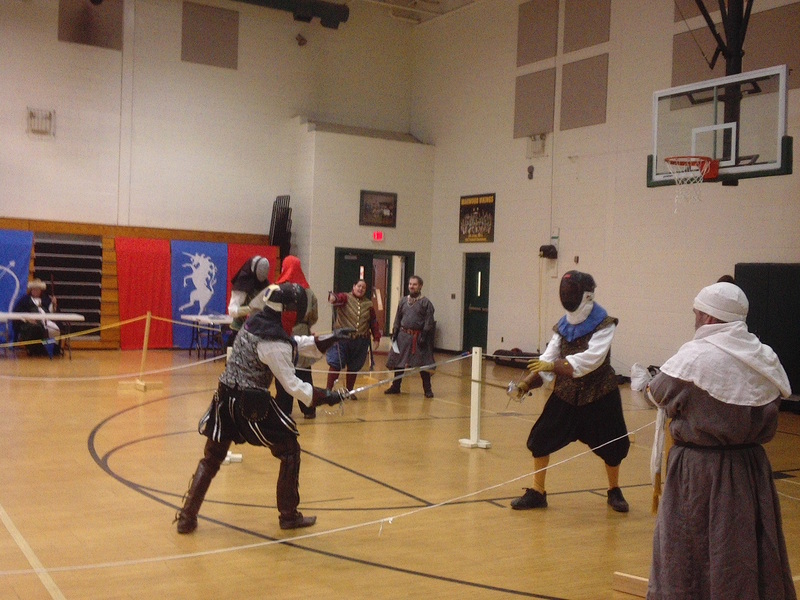 Master Donnan’s German longsword class. Lord Magnus bastiano di Vigo vs. Lord Robert MacEwin of Thornhill. While the fencers monopolized the main gym, the rattan fighters used the auditorium gym for both singles combat and melee practice. Æthelmearc’s Warlord, Sir Stefan Ulfkelsson, ran the fighters through melee scenarios with marshaling assistance from Sir Thorgrim Skullsplitter, Lord Oliver Sutton, Sir Vladimir Mechnik, and Sir Alonzio of the Peacemakers, while Lady Sabrina Godolphin served as Mistress of the Lists. In the video below, fighters were grouped into five-man teams. Each team took a turn in the “bullring” at the center of the room, which they had to defend against each other team in quick succession. This video shows just one round; over the course of the drill, each team took a turn in the center, defending against the other four teams. Other drills included simple formation marching and commands, as well as lots of open field battles, some with one side being told to do something specific to help the other side learn a skill or tactic. The last scenario of the day was a resurrection bridge battle. Sir Vladimir Mechnik and Sir Stefan Ulfkelsson. 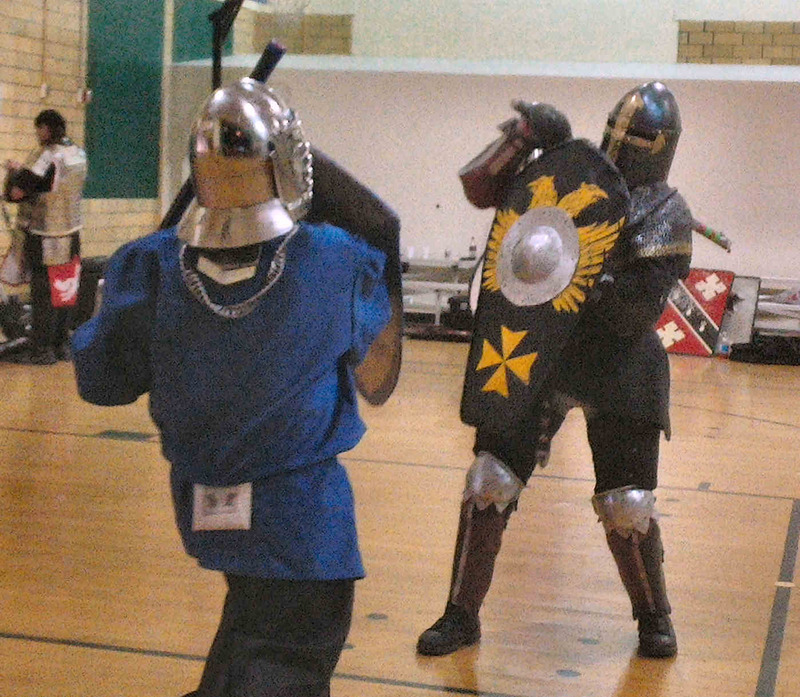 Those of less martial persuasion (or who wished to take an occasional break from all of the slaying that went on throughout the day) could enjoy the A&S classes offered. 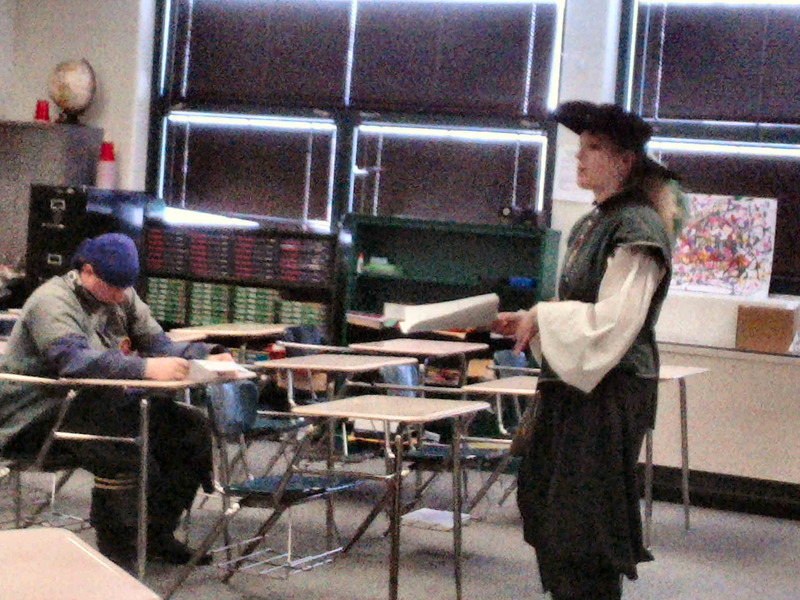 THLady Beatrice de Winter’s class on the subject of death. Gentles practicing fingerloop braiding with wire. Lady Sumayya al Ghaziya teaching her class on fingerloop braiding with wire. Dominique Von Weissenthurn’s class on making Elizabethan buttons. Mistress Arianna of Wynthrope’s class on illumination. 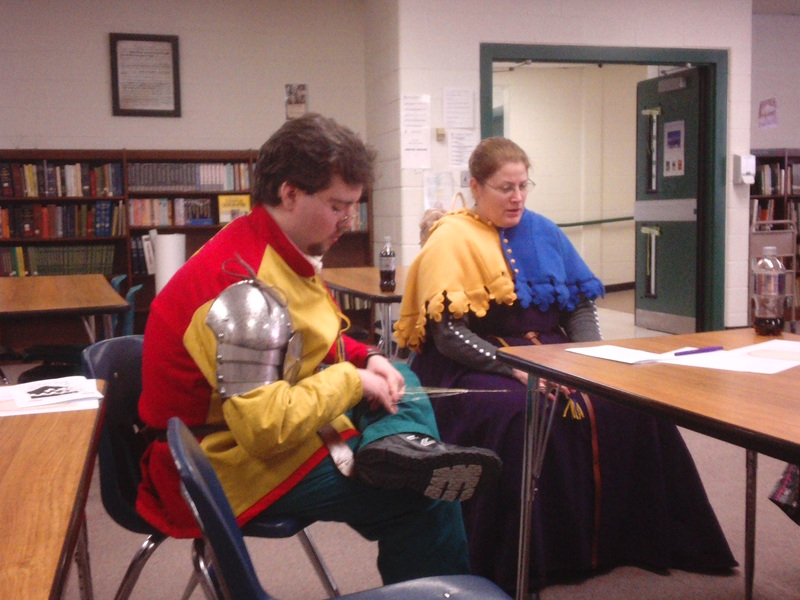 Mistress Aleea Bagah’s class on applying trim to garb. 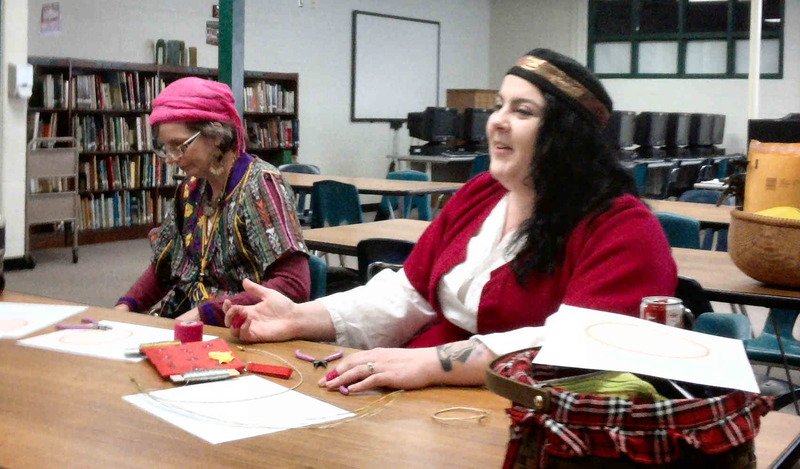 Lady Phelippe “Pippi” Ulfsdottir also taught an embroidery class. Late in the afternoon Don Anias Fenne revealed that it was Pippi’s birthday, at which the assembled gentles sang “Happy Birthday” and cupcakes were distributed. – All photos and video by Mistress Arianna of Wynthrope.